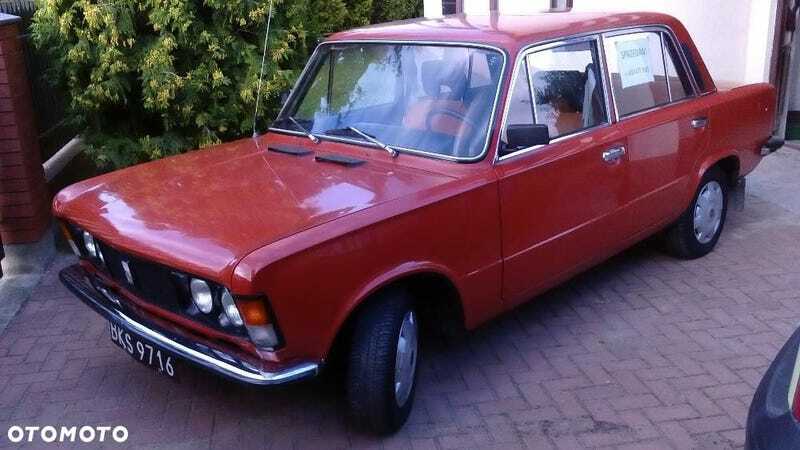 I just came across this ad for a 1982 Fiat 125p. I know it doesn’t look like much, but I do like them, and ones from before 1983 (when they got horribly cheapified) are pretty rare. According to the ad it’s a one owner car, that has all the original paperwork (and bill of sale!) and it’s only done 21 500 km. It’s basic spec (no tach, limited chrome, no heated rear windshield, etc.) but it’s not a huge issue. It seems rust free but the bodywork looks a bit iffy in places. Still, I’d drive that so much. I’d just get rid of those awful hubcaps.